Rental Suite Amenities: Refrigerator, stove, balcony (some suites), blinds, laminate/tile floors, some suites have dishwashers, pet friendly (cats and small dogs), heat and water included. 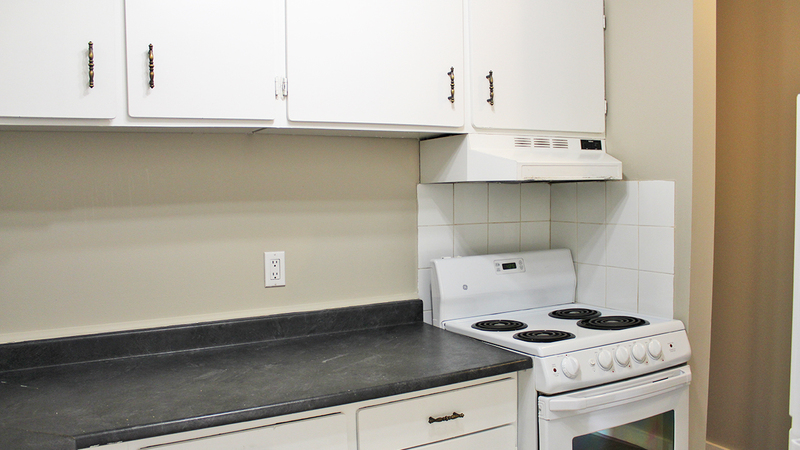 Building Amenities: On-site Laundry, secured entry with Intercom, outdoor parking and powered stalls. Neighborhood: Windfall rental apartment building is located near City Center Shopping Center (Coles, TD Canada Trust, Shoppers, various cell companies, Bentleys, etc), close to bus routes heading to various major locations throughout the city, 5 min drive to downtown without being right in the heart and noise of downtown, just steps away from Edmonton's gorgeous River Valley.